Where to begin? In the first two chapters of my book, End Back Pain Forever, I explore a variety of issues related to the difficulties in evaluating and treating patients with back pain. I am posting these chapters as a means to share my perspective which developed over more than 40 years as a pain medicine physician in the US and the UK. I encourage the members of my LinkedIn Group, Let’s Talk About Pain to agree, disagree, or share your own experience as a patient, family member of a patient, or clinician. The cost of evaluating and treating lower back pain and neck pain is rising. From 1997-2005 it went up from $54 to $86 billion/year. Unfortunately, advances in spine surgery techniques, nerve blocks, and pain medication have not translated into more successful treatment – from 1997-2005, 25% more patients reported difficulties functioning because of neck pain or back pain. Although 70-80% of back pain is diagnosed as non-specific lower back pain, referring to sprains and strains of muscles, ligaments and tendons, the current guidelines do not mention muscle as a possible source of persistent back pain. This leads to an overemphasis on the spine and the nerves leaving the spine. We need a treatment model (step-care) that addresses the most common reason for back pain first. Protocols that provide soft tissue treatments that are least costly with minimal chance of harm, should produce better, more cost-effective outcomes. Spending more money to do the same kinds of treatment is not working. 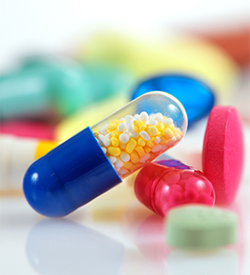 This discussion group will explore possible reasons for sub-optimal pain treatment outcomes. How can we change the way we evaluate and treat persistent pain to improve our results and lower the costs of care? A search for back pain on the internet finds almost 600 million sites. With so many different ideas on how to address this problem, we will attempt to narrow the discussion to concepts that have been studied and published in scientific journals. One obvious issue is the absence of a muscle evaluation and treatment protocol. “Thank you for treating me as someone struggling with pain and not as a former drug addict who could not be trusted with strong pain medication” – a note I recently received from one of my patients. A patient with a history of drug abuse may be fearful that their past will prevent adequate treatment for a serious painful condition. My patient imagined that I would not be respectful of his suffering and his commitment to sober living. He received the pain medication that allowed him to go through a series of medical and dental procedures without suffering. He was grateful. 2. in the words of Ronald Reagan, Trust but verify. Those patients who have problems properly using pain medication need extra attention, not condemnation. They may be more difficult to treat, but that is why there are specialists to deal with complex pain problems. Chapter 2 of End Back Pain Forever delves into the ever-increasing problem of the back pain epidemic. Please review this blog for Chapters 1 and 2 from my book. 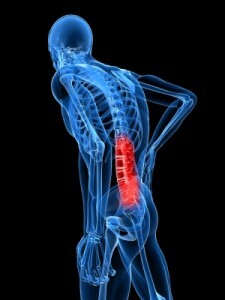 If you suffer from back pain, you are not alone. The widespread failure by doctors to recognize muscles as the primary source of back pain is helping to fuel an epidemic. Back pain is now the most common disability in the United States. Every year twelve million Americans make new-patient visits to physicians for back pain and a reported one hundred million visits to chiropractors. At the current rate, eight out of ten Americans will experience back pain sometime during their lives. In addition to the human suffering, medical costs are soaring. The cost of back pain, together with related neck pain, came to $86 billion in 2005, the most recent year for which figures were available. That was an increase of $34 billion from 1997. More amazingly, 25 percent of patients reported being significantly impaired, compared with 20 percent eight years earlier. Spending on back pain now equals the amount spent on cancer and is largely the result of failed surgeries, various nerve block procedures, and the cost of pain medications. We are spending more and getting worse results. 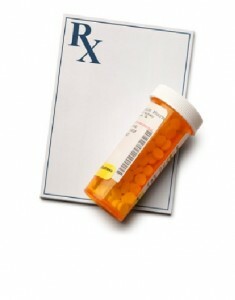 Why do we over-prescribe strong pain medication? The NY Times on 4/9/2012 ran a story about the overuse and unintended negative consequences of strong (opioid) pain medication. They mentioned opposing views concerning the liberal use of opioids. I participated in a debate in 1995 about the inappropriate use of the diagnosis “Chronic Pain Syndrome”(CPS) in patients whose muscles had not been assessed as a cause of their persistent pain, which resulted in the justification to put some of these patients on opioids for the rest of their lives. Since then one of the largest growth industries in medicine is the evaluation and treatment of back and neck pain, currently accounting for ~$100 billion in direct medical costs. The pain juggernaut is fueled in part by ignoring muscles which are the most common reason for pain complaints. Addressing the incorrect causes of pain leads to inappropriate, expensive and potentially harmful treatments with poor outcomes, persisitent pain, and overuse of opioids. CPS is a license to prescribe life-long medication. Chronic use of opioids has not been studied for its overall impact on patients with CPS but neither have any of the other medications that we are now using. Does the marginal reduction in pain in many of the patients taking these medications justify their costs and side effects? As the Times reports, for some patients the treatment is actually making them worse. Imagine if some of these patients had pain that could be eliminated. Many do; it’s from muscles that are not evaluated or treated in a systematic way. My new book, End Back Pain Forever, to be released by Atria on June 5, 2012 is a wakeup call to change the way we are treating common pain problems. 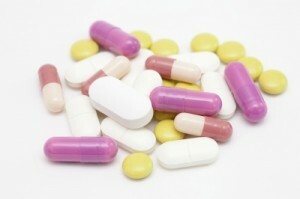 Strong pain medication after surgery – is there a downside? A recent article revealed that 2/3 of patients who received opioids (drugs like morphine) for 90 days following surgery were still taking them one year later. It doesn’t make sense that there still is pain from the surgery one year later. Did these patients become dependent or addicted to the drugs? Did they really need the medication for pain in the first place? 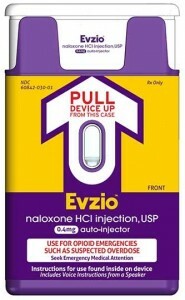 It was suggested that patients who undergo minimally painful surgeries should perhaps never receive opioids for pain. This thinking is consistent with the current discussion in the USA about the dangers of overuse and abuse of opioids. Annual emergency room visits and unintentional deaths from opioids have dramatically increased in the past five years. Widespread, persistent use of opioids is increasing without a clear understanding of the benefits or of all the associated risks. Making it harder to get the medication and limiting its availability is one way to reduce the unwanted effects. Many physicians have been alarmed over the misuse of opioids and will not prescribe them at all or will often provide less than adequate doses to effectively treat their patient’s pain. I recently saw a young man who, despite severe back pain that would require surgery, was denied opioid pain medication because he had a high score on a test that measured risk for its misuse. Since I understood the risk, I was able to successfully provide opioids while staying in close contact with the patient and his mother before and after surgery. Indiscriminate provision of opioids is potentially harmful but so are overly restrictive attitudes and rules governing its availability. Each patient deserves to be evaluated as an individual so that compassionate and rational pain care can be provided. The painkilling drug Darvon (propoxyphene) was banned this week by the FDA because it can cause potentially fatal arrhythmias (abnormal heart rhythms). But other pain medications, like methadone, can also cause dangerous arrhythmias. I have been asked a few times why was Darvon banned, but not methadone?